As a university student in Padua, Italy, Luke Belludi combined intelligence with humility and purity of heart. At the age of twenty, he was received into the Order of Friars Minor, the Franciscans, by Saint Francis himself. 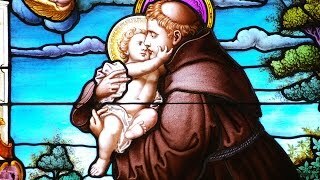 A few years later, Friar Luke met for the first time Saint Anthony of Padua. Thereafter Luke served as an assistant to the great Franciscan preacher on his missions across northern Italy. In 1231, he had the privilege of assisting Anthony at his death. When in 1239 a violent and oppressive regime seized control of Padua, Friar Luke was banished from the city. But he soon returned in secret. As the crisis in Padua continued, Luke would go to pray at the tomb of Saint Anthony following the recitation of the night office. While doing this one night, Luke and another Franciscan with him heard a voice from the tomb assuring them that their prayers for Padua were soon to be answered. The city was liberated not long afterward. It was Friar Luke who supervised the construction of the Padua basilica that now enshrines Saint Anthony's body.